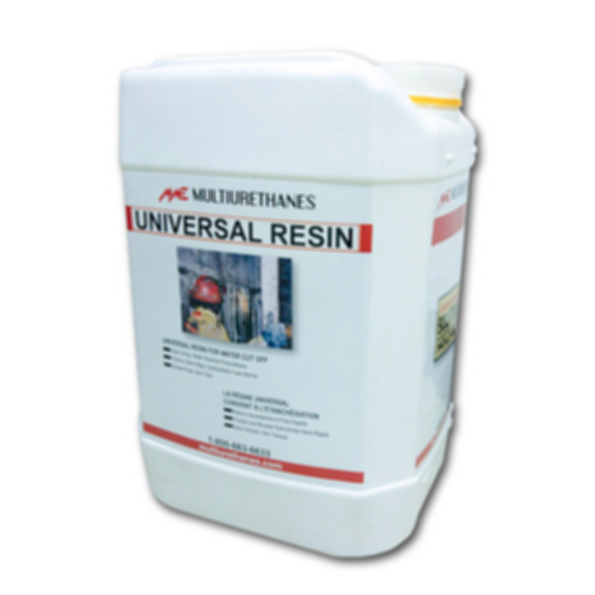 UNIVERSAL RESIN is a low-viscosity polyurethane resin designed for single-component injection. It penetrates fine cracks in rock and concrete and reacts with water to form a semi-rigid, foam barrier. Multiurethanes is a leading international supplier of materials, equipment and engineering support services for all types of grouting operations, including water cut-off, soil stabilization, concrete repair, sewer rehabilitation and waterproofing.